RC4WD Gelande II w/Cruiser Body Instagram Giveaway!! Our RC4WD 1/10 Warn 8274 Winch is Available Now!! 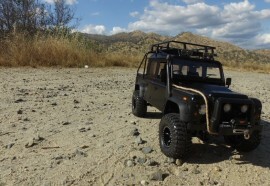 RC4WD Bully II MOA Kit & RTR Competition Crawlers Coming Soon! !